We are a leading Manufacturer of metal round box, fancy lehenga packing box, shagun box, jewellery box, decorative wedding box and stylish wedding box from New Delhi, India. 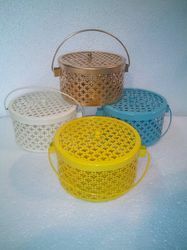 Metal round box is used for dry fruit and handmade chocolate packing. These are available in different kind of shape and size. It will be eye cashing finishing that make attractave packing. Our company has relentlessly pursued excellence in its endeavor by providing a beautiful range of Fancy Lehenga Packing Box. 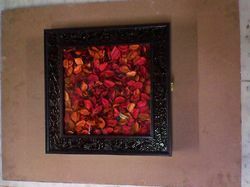 Our offered designer box is reckoned among our clients due to its eye catching designs and light weight. 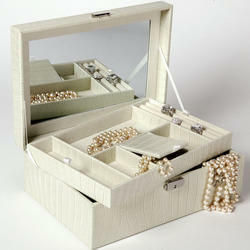 Designed to perfection and adorn with exquisite features, our offered box is perfect for gifting on various occasions. 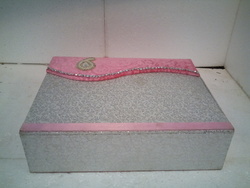 Additionally, we offer this box in various patterns as per the clients’ choice. Outfitted with a modern infrastructure, we are actively committed towards offering a wide array of Shagun Box. This box is precisely manufactured using optimum quality raw material and advanced technology. In tune with different requirements of our copious clients, we customize the entire range in various sizes and shapes. Our offered range has gained exceptional value amongst our clients for its defined features. Available in various sizes, our offer Jewellery Box have smooth texture, precise dimensions, excellent protection to material kept inside and robust structure. Moreover, we are highly appreciated from our valuable clients who not only love our products but praise us for the quality-based and fine finished products that are available to them on time in the most affordable price range. 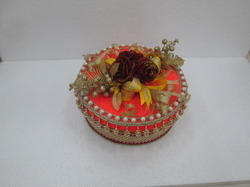 We are engaged in offering Decorative Wedding Box to our clients. 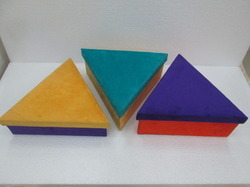 The offered boxes are made using fine grade material. These boxes are useful for providing protection to items from dust, dirt and damage. Moreover, our product range is tested on quality parameters to ensure its quality so as to deliver the best product to our reputed clients. We offer the box in leading marketing prices. 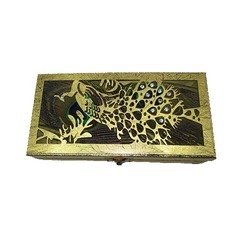 Supported by a team of skilled and experienced designers, we are engaged in offering attractive Decorative Box. Our offered attractively packed Decorative Box is available in platforms of designs, shapes and colors at reasonable prices. Attractive packing and pleasing look enhance the demand of this gift in the market. As per the specific requirements of our customer, we offer this gift in customized form.